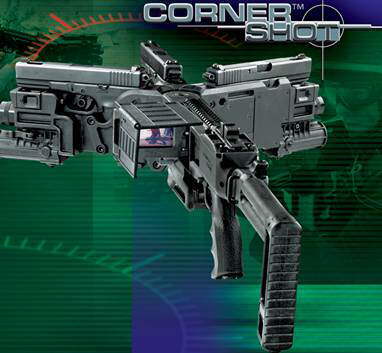 "Around the Corner" lightweight, breech-loading, single-shot 40 mm launcher. Day and night operational ability. 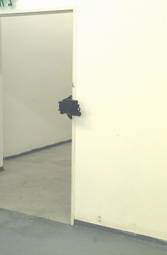 Manual operation, single shot "pump" type action ejects the spent cartridge and enables the feeding of a new round. Video observation & sighting system with transmission capability. 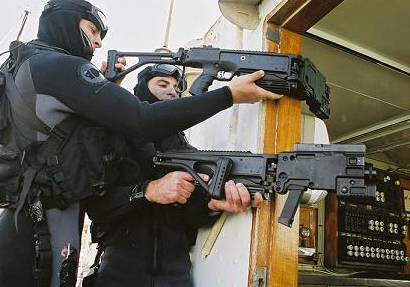 Fires all 40mm grenades, less/non-lethal ammunition, irritant & tear gas projectiles. Weight: 4.4 Kg / 9.5Lbs. 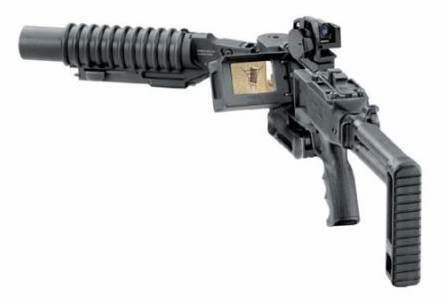 Muzzle velocity: 74.7 m/sec (M-406 grenade). Effective range for precision fire, single target: 150 meters. Effective range for area coverage using fragmentation munitions: 350 meters. Video observation & sighting system. Fully functional with operator completely sheltered. Enhances firepower, survivability & tactical effectiveness. 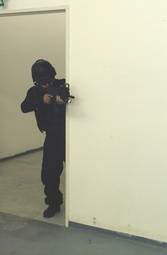 Corner Shot can change the nature of relevant operations by providing security forces with an effective tool to accurately pinpoint and engage a target, at minimal risk to their personal safety.